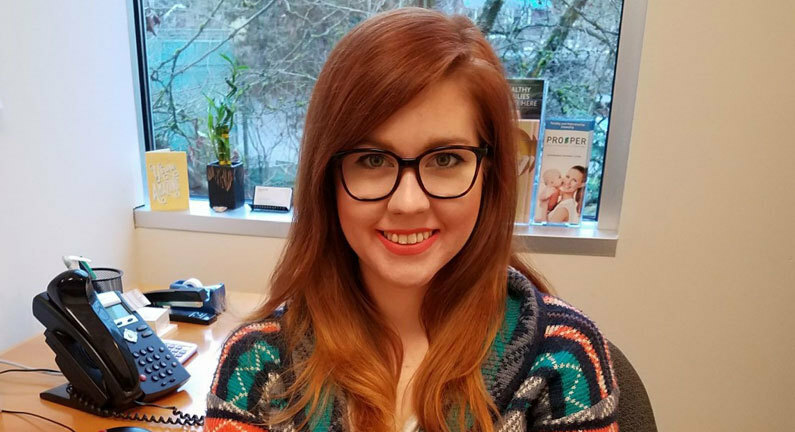 As a Client Services Coordinator at Seattle Sperm Bank, Kandy Lindstrom keeps busy. She handles multiple duties ranging from interacting with donors and potential donors to fulfilling Internet orders. But she spends the bulk of her time talking with clients and helping them start families. This includes helping with photo matching, answering questions about the process, and matching women and couples with the right donor. In this interview, Kandy shares advice for choosing a donor, what to look for in a sperm bank, and reveals how few men qualify to be sperm donors. One of perks of working for a relatively small company is I get to do so many different things in a day. I manage a lot of different tasks around the office, but most of my time is spent helping women and couples understand the process of ordering donor sperm. This is most often done on the phone, but also through email, live chat, or in person. I have always liked interacting with the public and I love how much time I get to spend connecting with women and couples all over the country. About half of my time is spent helping clients choose a donor. I do that through our Photo Matching program, my own impressions of our donors, and anything else to help them narrow down their search. One thing that’s unique about Seattle Sperm Bank is our coordinators, like myself, get to know almost all the donors in person. This allows us to give honest and informed opinions to clients. Clients appreciate this because choosing the right donor, or choosing to use a sperm donor at all, can be one of the most difficult decisions they’ll ever make, so it’s helpful for me to walk them through the process and offer insight. Also, I help our new donors get their profiles together for our website and spend time getting to know them. I get to be involved with many aspects of our services, which is rewarding to me, and helpful to our clients. What advice do you have for women when it comes to choosing their sperm donor? Choosing a donor is subjective. You might be surprised how many ways there are to do it. Some women seem happy to choose nearly at random, while others simply go with whichever donor is on sale that month. Other clients spend countless hours poring over donor profiles and talking with us about different donors. Sometimes clients ask specific questions about donors we may not have thought of, so we’ll find answers and get back to them. 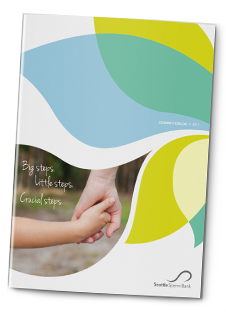 I tell all our clients just starting the process the same thing: before you even look at the donor catalog, decide which one or two factors are most important to your family, and then search with those in mind. This helps them stay focused during their search since it’s easy to get overwhelmed by all the information and so many profiles. What should families know when comparing sperm banks? All the major sperm banks and fertility clinics in the U.S. are substantially different, so it’s good to look around. There are big differences in pricing, minimum sperm cell counts per vial, donor profile information, and much more. For example, some clinics offer adult photos while others don’t. I encourage people to look at all their options to find the best fit for them. When shopping around, it helps to ask about consultations. At Seattle Sperm Bank, we provide free one-on-one customer service. That means I’ll chat with people as long as they like to get their questions answered. Some other clinics charge for phone consultations as well as for photo matching or basic donor profile information. All of that is free at SSB, so it’s good to ask about it before you choose a sperm bank. We make the selection process much more personable and affordable since we don’t charge for services such as phone or in-person consultations. It also helps that I, and the other coordinators, know all our donors personally. This helps us connect clients and donors. One thing we consistently hear from clients is that they have a great customer service experience with us—and we’re proud of that. Is it difficult to get donors to commit to a donation schedule that ensures they build up a big enough inventory to meet client demand? No, it’s rarely difficult. Once selected, donors agree to a contract so they know what they’re getting into. It’s a job for them in that there are contractual obligations. They agree to donate at least once per month for a period of six months, a year, or more. They can donate up to three times a week and some do. Most donors fully understand the obligations and have a great attitude about it. What many people don’t realize is that donors must agree to a sexual abstention schedule while in the program. So, it does affect their personal lives and involves some planning on their part. It’s not as easy as some people think to be a donor. Plus, there are physical exams, blood testing, and of course remaining healthy, so most men take it very seriously. It’s unusual for a donor to skip out without fulfilling his entire contract. What percentage of men who apply to be donors make it into the program? Only about 1%. That’s largely because we require a high total motile cell count (which is a sperm count, basically) from our donors. That requirement alone eliminates most potential donors since we require a much higher than average sperm count. That means men with even a normal sperm count don’t make it. You really need more than average to qualify. The other thing that prevents many men from donating are their family medical histories. Many otherwise healthy men are disqualified due to genetic conditions we discover during our screening process. Aside from being in good health, which is mandatory, what characteristics are you looking for when selecting donors? Aside from health factors, we largely screen based on our personal impressions of them. We look for good people with good personalities. And good looks are important too! Clients often ask specifically for those that are the most handsome. This is subjective of course, but truly most of our donors are considered handsome. We have a steady stream of applicants so we also make sure to select men who are applying for the right reasons, meaning, they want to help women and couples start families. We can be picky about this since those are obviously the donors we want. Are any ethnicities in higher demand than others? Actually, yes. There is a strong need for African American donors now. I get a lot of clients looking for this including those who have looked at several different sperm banks and found a lack of choices for African American donors. In general, we don’t have enough people of color apply as we would like. We’re currently focusing recruiting efforts on this to meet client demand. The two most common reasons are to earn supplemental income (especially among young men in college) and to help families. Some donors come in due to a personal connection. Maybe they know someone who has been through the process or who had a child using donor sperm. We also get some medical professionals who are aware of the need for donor sperm and so choose to contribute. Or others who don’t want children of their own but want to help because they have good genes and know there is a growing need for donor sperm. I’m lucky. I really do enjoy my job. I especially like that I get to be involved in many parts of our operation. Again, it’s one of the benefits of a relatively small staff. I get to interact with clients and donors, plus help with distribution, storage, administrative needs, marketing, clinic coordination, and more. This not only keeps the work interesting, it also allows me to be more helpful to clients since I understand the entire process. I also love the follow-up we get from clients. Of course, we talk with them the most when they are starting out and going through their procedures. But I enjoy hearing from women after they get pregnant and give birth. We get baby pictures and thoughtful thank you notes in the mail, and that makes it all worthwhile. We’re all about the babies! That’s the end goal behind everything we do, so we welcome the chance to see the babies and connect with families who have been successful.